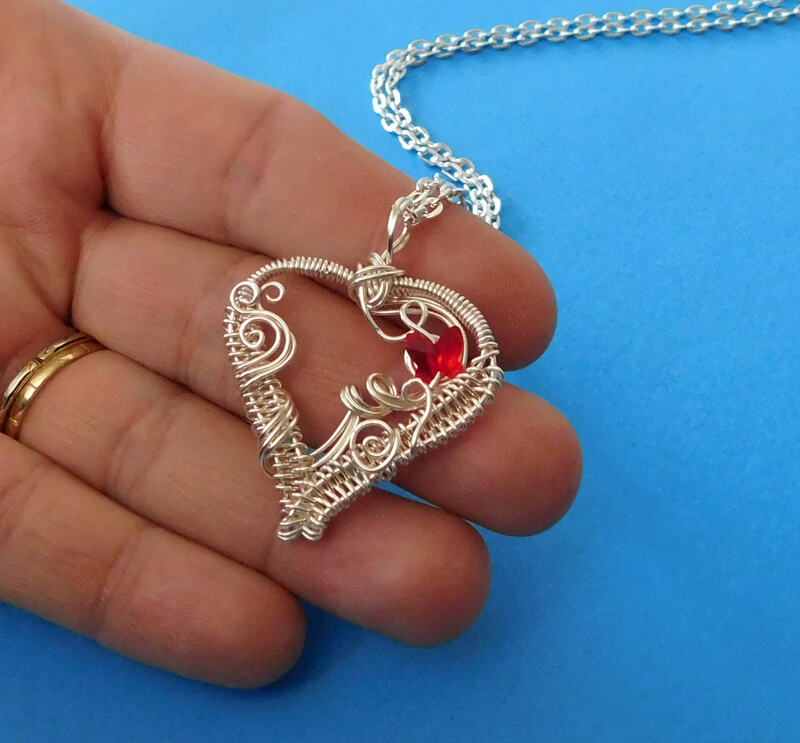 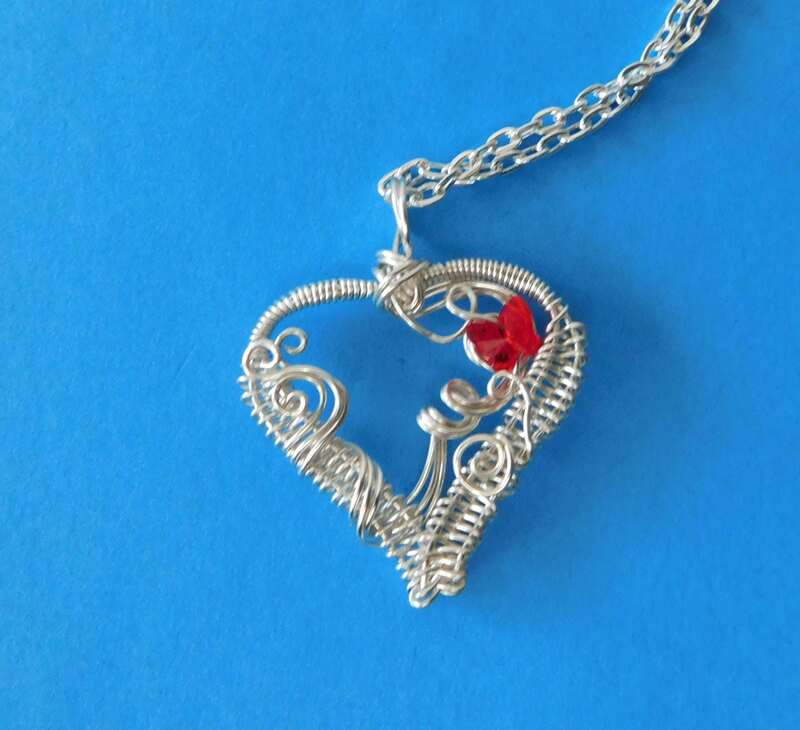 A tiny crimson Swarovski crystal butterfly flies within an artistically woven and sculpted wire heart frame. 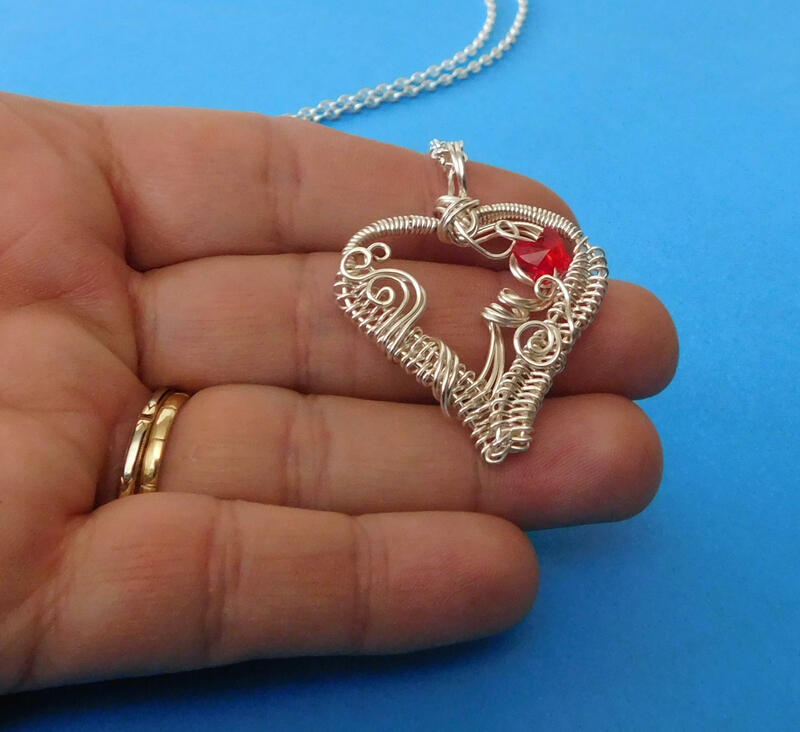 This elegant and unique pendant is the perfect gift for a wife, girlfriend, mother or daughter. 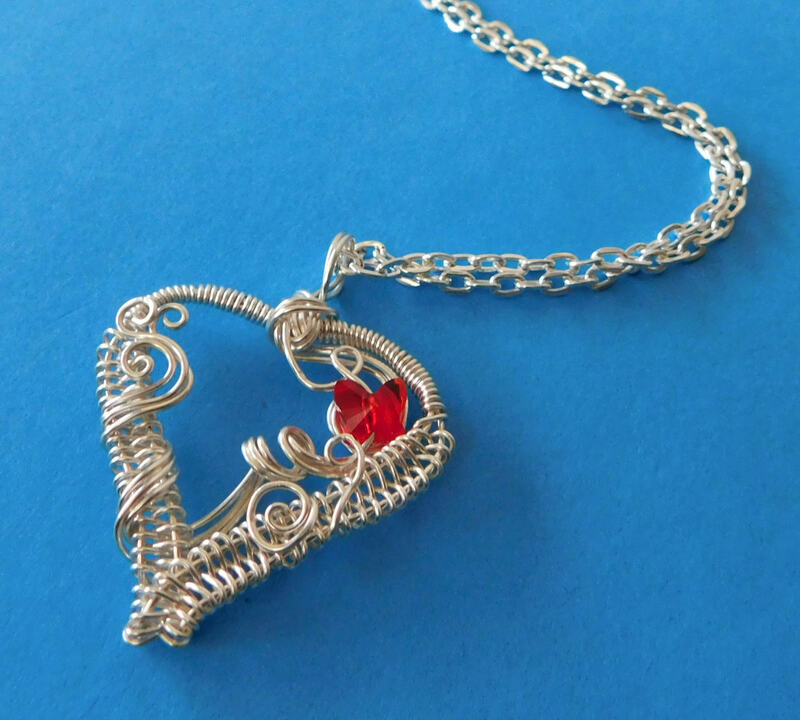 Your special lady will enjoy this artisan crafted necklace for years to come. 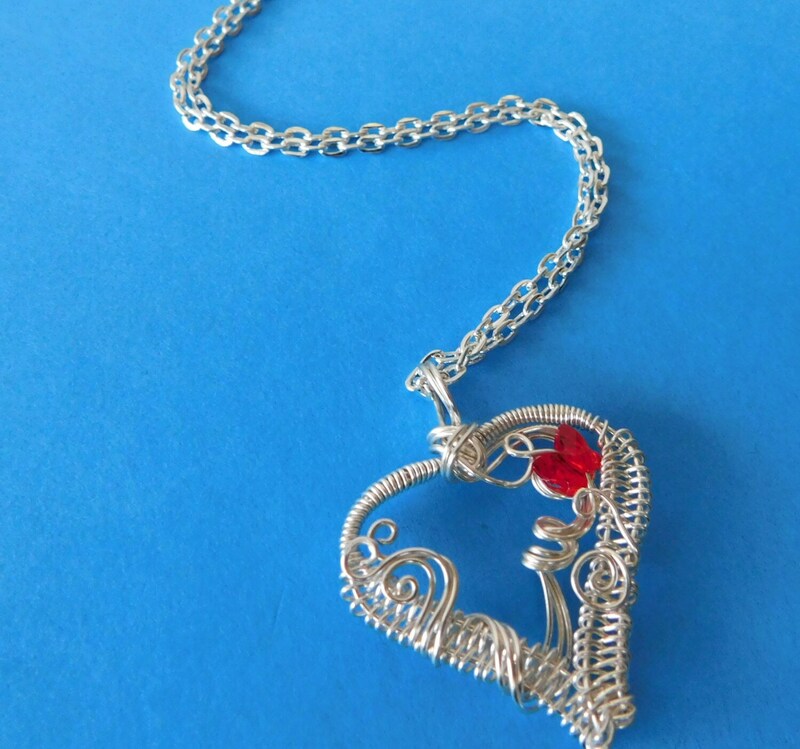 The heart measures 1 1/4 inches by 1 1/4 inches and comes with a FREE coordinating chain with lobster claw clasp, measured to your preferred length.